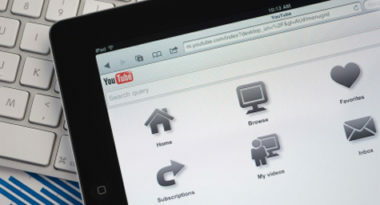 Will You Be the Next Big Health Story on YouTube? The complicated nature of healthcare information has led marketers to seek creative new ways to convey this complex information to consumers. One of the most popular and effective strategies has been via video on YouTube. Savvy healthcare marketers have already started developing strong video marketing approaches that position their brand information directly in front of YouTube’s huge global audience. To help healthcare marketers take advantage of these online opportunities, MediaPost.com recently offered tips and techniques for creating the most-valuable video marketing strategies. Statistics show that more than 3 billion videos are viewed each day on YouTube, with 800 million unique visitors viewing videos on a daily basis. Plus, over 100 million people comment, like, or share on YouTube every week. These staggering statistics are predicted to rise even higher as the ever-increasing popularity of mobile devices allows consumers to view videos from anywhere and at any time. For healthcare marketers, YouTube is the place to be as both your consumers and your competition are using this social media channel more and more each day. To start developing a YouTube presence for your healthcare brand, first define the purpose of your channel. It may be to establish awareness and leadership for your brand regarding certain conditions, or perhaps to serve as a source of supplemental information to deliver more value to current customers. Once the purpose has been defined, it will determine the direction of all future video content. When it comes to creating content, healthcare information usually falls into one of four categories. The first is general information about your brand and product, which usually is best conveyed through engaging commercials and product demonstrations. A second category focuses on the medical condition itself, which enables consumers to discover your brand as they research particular diagnoses and treatments. This category often relies on well-produced educational videos that provide the facts while positioning your brand as a leader. The third category is testimonials, where consumers tell their personal stories and share their success with your brand. These can be extremely effective and establish a deeper trust with prospective consumers. Finally, the fourth category is branded entertainment, which can include anything from fun dance videos to funny animated series. This is ideal for brands looking to increase consumer engagement and basically educate while entertaining. No matter which video approach is selected, it is essential to create a steady stream of fresh, relevant content. Consumers love discovering new information, and this is especially important for people seeking news and updates on medical conditions. In addition, consistently providing new content shows that your brand delivers the latest information and products, which can go a long way toward establishing both leadership and loyalty. At MDG, our 360° marketing approach uses just the right mix of traditional and online media to reach your marketing goals. While some industries may fare better on TV and others on YouTube, we strive to create a balanced approach where digital and traditional marketing efforts support each other and your message is tailored to the medium. If you are interested in effectively incorporating video into your healthcare advertising plan to increase marketing ROI, contact MDG Advertising or call 561-338-7797.